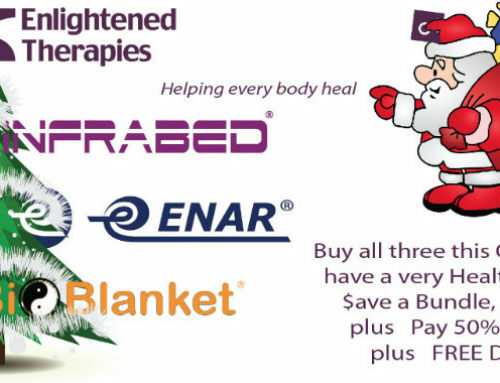 The new Energy BioBlanket #3 has been fully redeveloped with new double reflective layers to use Reflective Energetic Therapy to help to induce the body and mind to rest, rebalance and re-energise. Plus the New Energy BioBlanket includes Negative Ion layer and Natural Bamboo Fleece inside and out. Two Sizes are: Single Bed 120 x 200 cm, Double Bed 220 x 200 cm and include Zip Up Cotton Cover and Carry Bag. The passive therapeutic Energy Blanket always prompts the body to Balance by reflecting your energies back to you, as well as protecting your body by deflecting away outside energy influences at the same time. 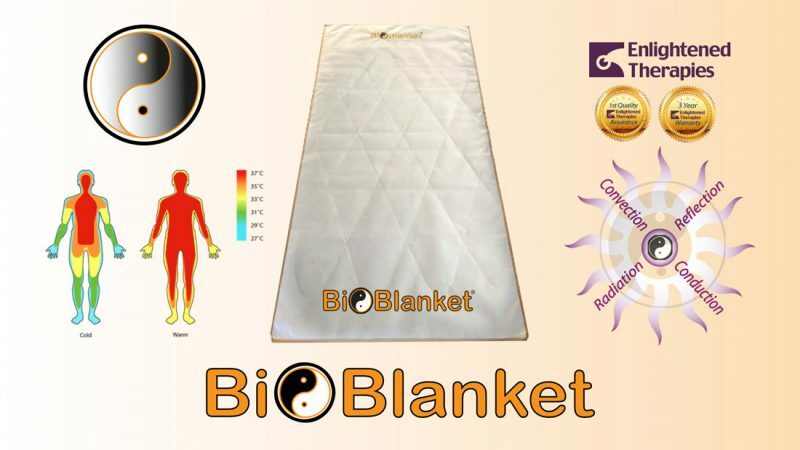 But you now can either use the Yin side of your BioBlanket for balance, rest and recovery OR Turn your BioBlanket over and use the Yang side for thermal therapy and core activation incl extra Negative Ions for Heat Convection layer together with Bamboo and quality cotton cover. Plus you can switch on your InfraBed and go into Synergy Mode with your InfraBed underneath you for a full 4-way Thermal Activation Therapy Session at an intensity level and time span that suits your therapeutic goals.